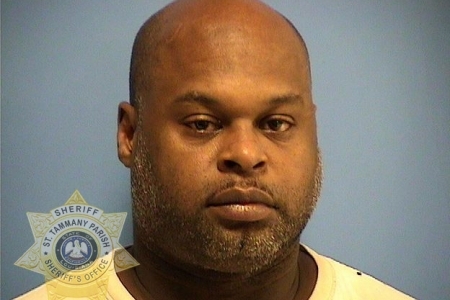 A Slidell-area couple has been arrested on multiple charges for drugs and dog fighting, following an investigation by the St. Tammany Parish Sheriff’s Office Narcotics Task Force. 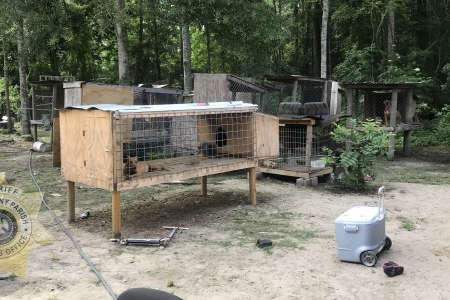 On Wednesday (June 20), the STPSO Narcotics Task Force executed a search warrant at the couple’s Slidell-area residence. 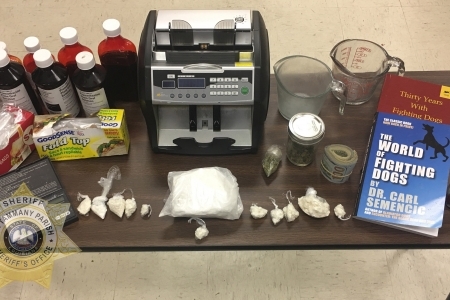 During the search, investigators discovered and seized approximately 419.7 grams of cocaine, approximately 28 grams of marijuana, seven bottles of promethazine, assorted drug paraphernalia indicative of narcotics distribution, a money-counting machine, $2,066 in cash, and four vehicles. Prior to executing the search warrant, detectives followed Michael Ratcliff (DOB 12/26/1977) from the residence and took him into custody without incident. 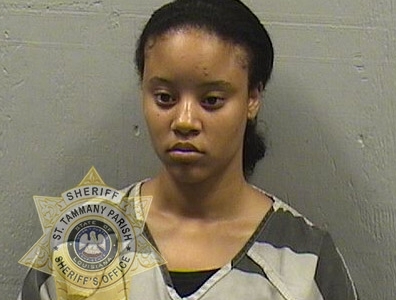 Ratcliff’s live in girlfriend, Antinette Johnson (DOB 11/27/1988) was located at the residence and was also taken into custody without incident. Seven children, ranging from 4 to 12 years old, were also present at the home. The children were released into the care of family members. The STPSO Narcotics Task Force is composed of detectives from the St. Tammany Parish Sheriff’s Office, Mandeville Police Department and Slidell Police Department.